Manufacturer & Exporter of Portable Humidifier & Portable Humidifiers. Our product range also comprises of Foggers, Fogging Systems and ULV Fogger. 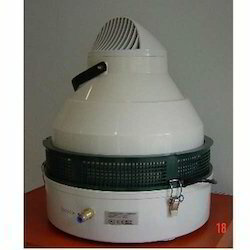 Humidification Capacity 6 - 8 Liter Per Hour. Particle Size 5 - 10 Microns. We have introduced Portable Humidifier for our esteemed customers, manufactured in accordance with the approved industry norms. These devices are used for increasing the ambient humidity. For the functioning of these products, water pressure pumps or compressed air is not required. Our offered range has gained huge popularity as capable of producing fine mist support, resulting in quick evaporation and finally, air humidification. To meet our customers’ variegated needs, we have introduced Portable Evaporative Humidifier under the extensive array of our products. Capable of functioning silently, these products are used widely and need minimal maintenance. Customers can source these portable products for convenience and ease of usage. For the functioning of these humidifiers, water pressure pumps or compressed air are not required. 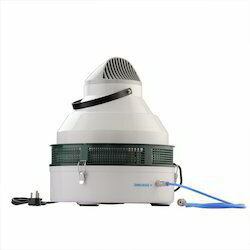 Humidification Capacity 2 -4 Liters per hour. Area Coverage 150 - 250 sq. ft. Particle Size 5 - 8 microns. In our modest attempts, we are engaged in manufacturing and supplying Cool Humidifier. We have designed these devices in accordance with the industry laid parameters and thus, assure our customers constant performance without any kind of breakdowns. Easy to maintain & use, these humidifiers have gained huge appreciation among our clientele and can be purchased at reasonable rates. 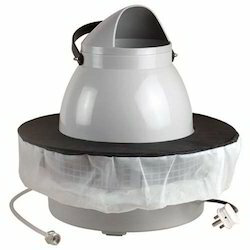 Looking for Portable Humidifier ?